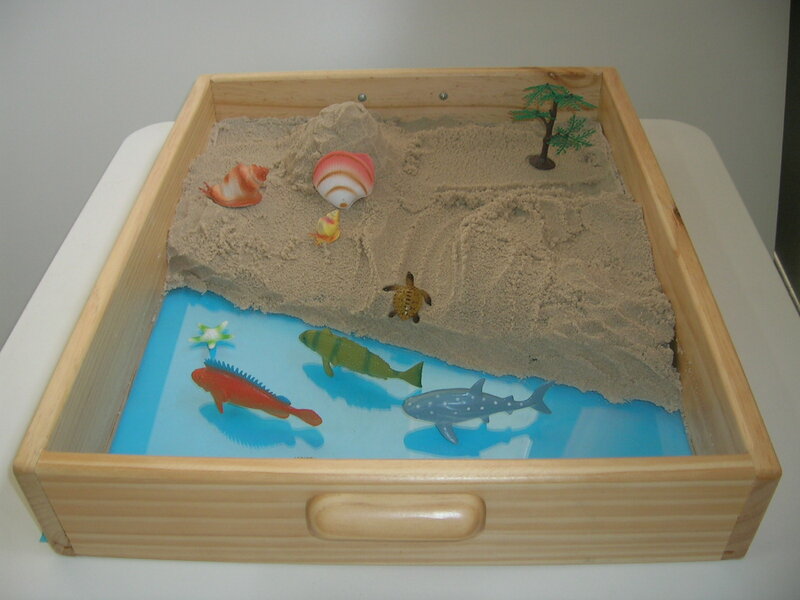 Sand Tray with clear acrylic base - 500 x 600 x 100mm. Use coloured paper underneath base to create different themes. Sea life, dinosaurs, insects or a nature tray. This multipurpose tray has a pine frame and easy to carry side handles.